Good Morning!!! It’s Thursday and the week is going fast!! I am excited to share my fastest pinned post right now. 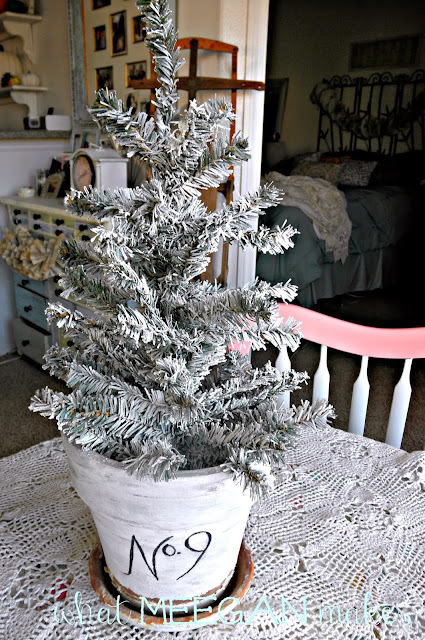 It’s my Under $3 DIY Flocked Christmas Tree. It looks great and you would never guess it hardly cost any money to make it. Today, I thought you might like to see one of my easiest and fun under $3 Christmas ideas. 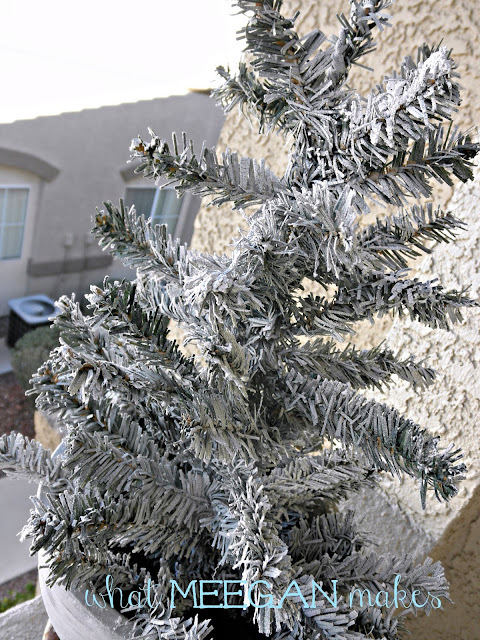 It is SO easy and creates a whole new look and feel for your Christmas tree and home. My theme for our Christmas decor is a lot of white and natural elements. 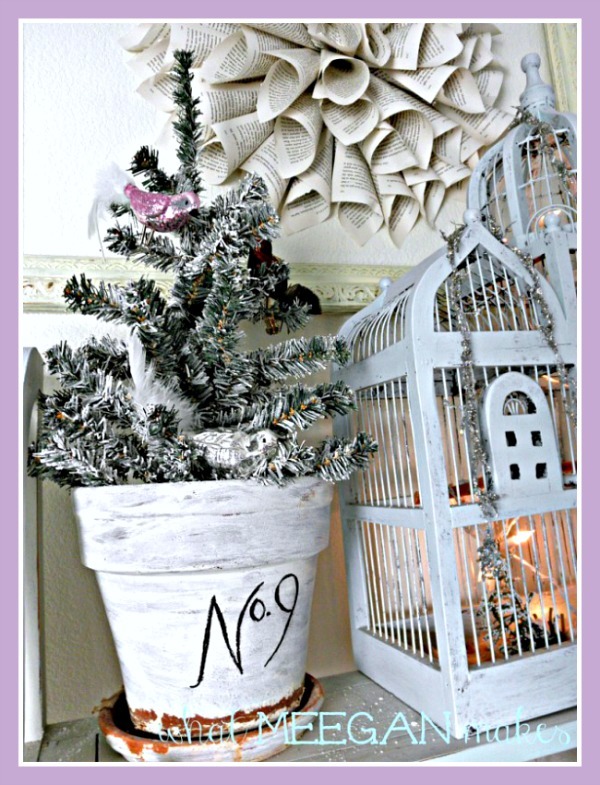 Using an Under $3 DIY Flocked Christmas Tree is a small, simple and inexpensive way I can begin to create that look. I bought this tree at the Dollar Tree. Yep, she was only a dollar! But I have BIG plans for her!! 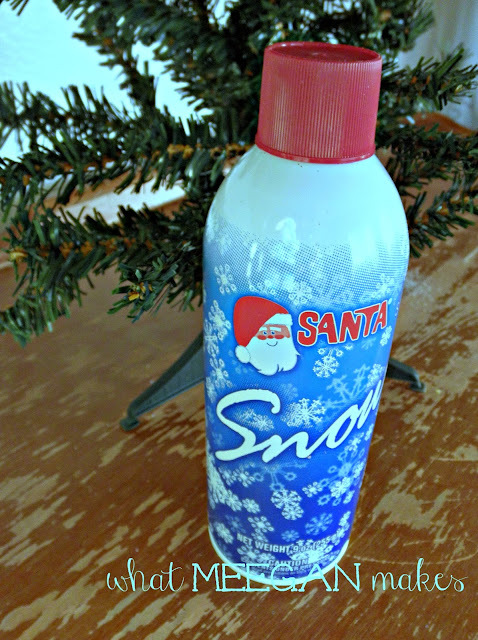 I also purchased this canned snow at the Dollar Tree. Like I said, BIG plans!! I am not a very successful green thumb, so this pot sits empty most of the time. BUT, ideal for my plans. 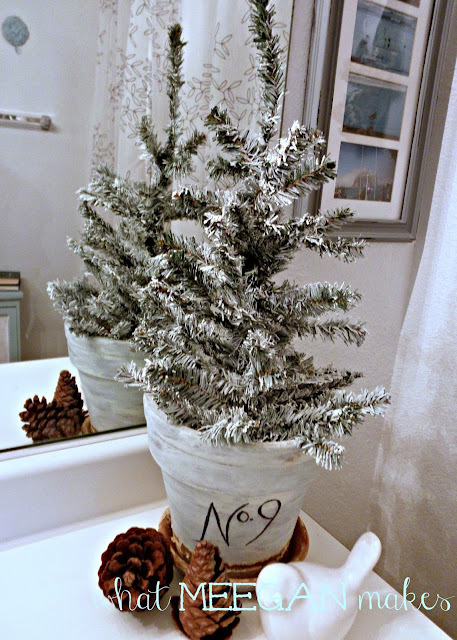 With a little canned snow and my 99 cent tree, I have a new look for our bathroom at Christmas. You can either pay a lot of money or simply spend $2 to get the look you want. I am in love with this “new”beauty. I have had fun placing her all over the house. I wonder where my $2 Christmas Tree will finally find a home, once all the decorating is done. 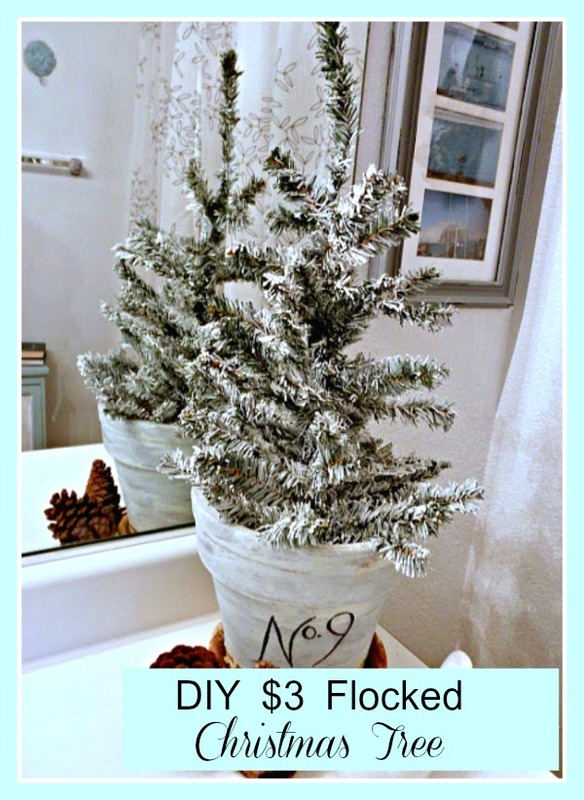 Where would you put YOUR Under $3 DIY Flocked Christmas Tree?? 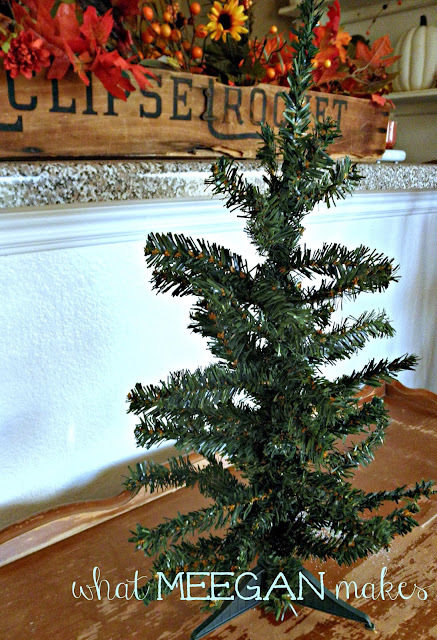 Be sure to check out ALL of my other inexpensive ways to decorate for Christmas here. Seriously that is beautiful and simple! I was looking for a little cheap tree for my daughters apartment. I’m heading over to the 99 cent store tomorrow. Love the tree!! Great idea and it looks terrific and look at the money yo saved. Super clever & cheap, it also looks beautiful thanks for sharing. Oh, I love this idea! The tree turned out so cute. So cute~ love flocked trees! Thanks for linking up at Feathered Nest Friday! Does the can of fake snow dry or does it blow away or stay wet and sticky? That has been my concern with using the canned stuff. I don’t want the cats to lick it or the snow to powder off after a few days. I am dying for a flocked tree but I can’t spend hundreds so I am on the edge of my seat!